The TCI-150RA Utica 30-150 in-lbs Torque Wrench is one of thousands of quality tooling products available from MRO Tools. Please browse Utica Ratchet Head Series Torque Wrenches for tools similar to the TCI-150RA Utica 30-150 in-lbs Torque Wrench. TCI-150RA Utica 30-150 in-lbs Torque Wrench description summary: Utica ratchet head ''click'' type torque wrench. Drive Size (in. ): 1/4'' Range .in-lb. : 30-150 Range Nm: 3.39-16.95 Graduations in.-lb. : 1.0 Graduations Nm: 0.113 Length in. : 9.5 Length mm: 241.3 Weight lb. 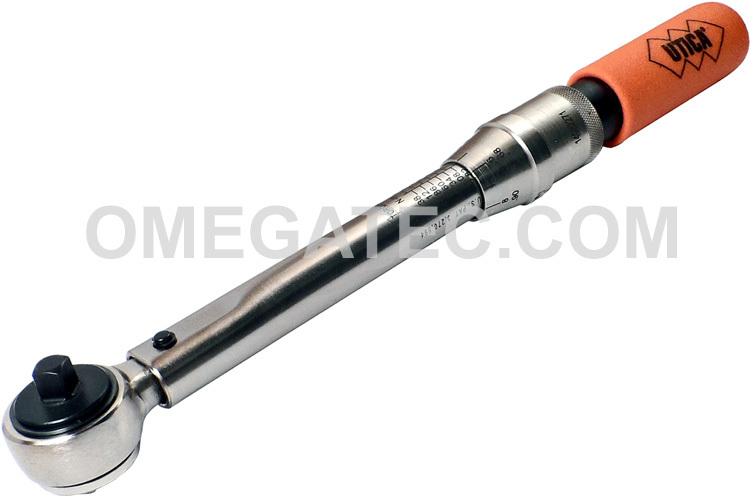 : 0.9 Weight kg: 0.4 Quantity discounts may be available for the TCI-150RA Utica 30-150 in-lbs Torque Wrench. Please contact MRO Tools for details.